SARAJEVO, Bosnia-Herzegovina (AP) — Bosnia on Tuesday inaugurated the country’s three-member presidency following last month’s election, with nationalist politicians dominating a body designed to heal the country’s ethnic divide. The presidency comprises a Muslim, a Serb and a Croat politician. It is part of Bosnia’s complex administration established in peace accords that ended the 1992-95 war by creating a Muslim-Croat and a Serb entity joined by central institutions. The presidency members were elected at the Oct. 7 general election. They include pro-Russian Bosnian Serb leader Milorad Dodik, who has advocated separation of the Serbs from Bosnia. Dodik took office Tuesday along with Muslim politician Sefik Dzaferovic and Bosnian Croat Zeljko Komsic, considered the only moderate among the three. 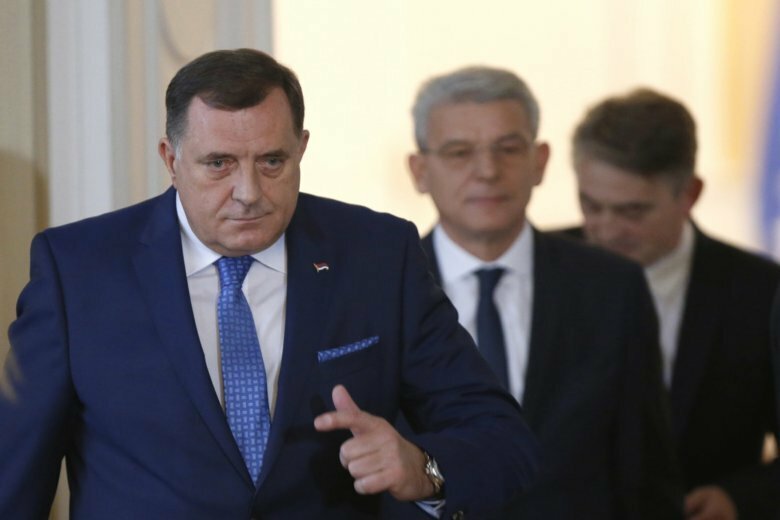 Dodik — who on Tuesday also took over the presidency’s rotating chairmanship for the next eight months — urged the end of the international presence in Bosnia that was introduced with the Dayton peace accords. Bosnia’s presidency holds little formal power but sets the tone of the country’s general policy. It makes decisions by consensus. But disagreements over key issues were already visible on Tuesday — Komsic insisted in his press statement that Bosnia should join NATO while Russia’s ally Dodik said the country should remain neutral. Bosnia is seeking European Union membership but bickering among its politicians has stalled the country’s advance.